From three different routes, arrivals at the Pole: solo 2215 km, solo 1130 km, and group 550 km. One solo lady still on her way to the Pole; plus the return and traverse skiers heading north. UPDATE: Jan. 10, 2017 8:15 PM: News about Risto, see below. The men arrived from three different directions. Mike Horn started at S70.1015 W009.8249 (20 degrees of latitude), relatively not far from Novolazarevskaya. Mike covered a distance of 2,215 km, in a straight line, from where he stepped off his boat onto the continent. He used kites to manage this distance, plus the rest of his traverse, in one season. 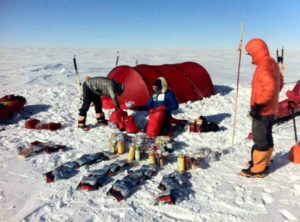 Mike had no resupplies to the Pole and started off with a 210 kg sled with provisions for 3 months. He covered the distance in 28 days (January 9, 2017). Horn was born in South Africa and resides in Switzerland, when he is not on his boat, Pangea. 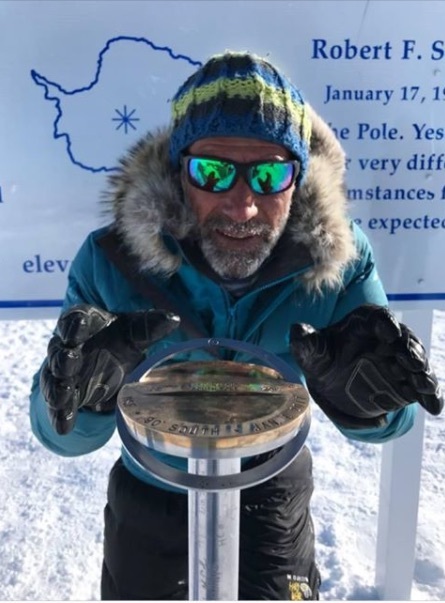 It is his second time at the Pole, this time he became the first South African to complete a solo expedition to the South Pole. Sébastien Lapierre has also carried all he needed in his sled and received no outside help (unassisted). Therefore he became the first Canadian to ski solo to the South Pole. Sébastien covered the 1130 km from Hercules Inlet in 43 days (November 28, 2016, to January 9, 2017). He didn’t use kites (unsupported). 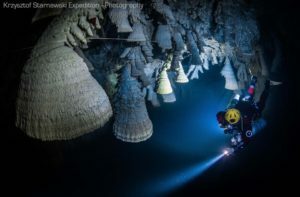 Explorersweb/Pythom Interview with Sébastien. In a straight line, Eric Philips (AU, guide), Rob Smith (UK) and Keith Tuffley (US), covered 550 km in 34 days reported Eric (January 10, 2017). 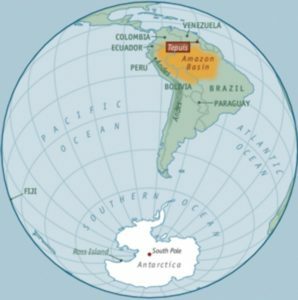 The men started at the Reedy Glacier 85ºS, on the Ross Ice Shelf, and were also unassisted and unsupported. The Reedy Glacier is a new start point. Rob apparently cycled about half the route on his fatbike. Interview with Eric Philips. Hercules Inlet 80ºS return Journey, Risto Hallikainen (FI): The Fin is returning to Hercules Inlet man-hauling only. Location Jan 10, 2017, 12:09:30 PM UTS Elevation: 1,844.08 m Lat: -86.457488 Lon: -81.730085. Hercules Inlet 80ºS return Journey, Johanna Davidson (SE): The record-breaking Swedish lady is kilometers away from completing her return journey to Hercules Inlet. Check her map by Explorers House to see the progress, 100 to 200 kilometers per day. “It’s crazy how much faster it goes with wind in my back and kite!” she stated. Lou Rudd (leader), Oliver Stoten, Chris Brooke, Alex Brazier, and James Facer-Childs (ALL UK) traverse to Shackleton Glacier: On Latest, Day 56 the men woke up in strong blowing winds and windchill going down to -45 to -50C. They are on the other side of Titan Dome and are descending towards the Shackleton Glacier. The sleds are lighter and gliding better. Hercules Inlet 80ºS unassisted unsupported to the Pole, Małgorzata Wojtaczka (PL) solo: No new news, but see the position of her tracker in the images.